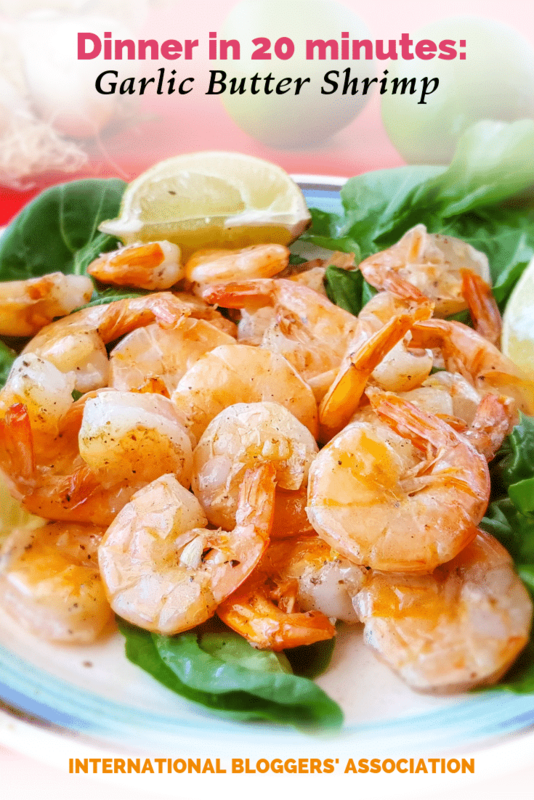 IBA Member Audrey Humaciu of That Recipe shares this flavorful Garlic Butter Shrimp recipe, a quick and easy dish that can be served as a weeknight meal or an appetizer at a party. Mom used to make this in the electric skillet right at the table for a special meal. There is something innately unifying about cooking a meal at the table. We would pile our plates with shrimp, then peel and eat them while we talked. You could serve it with lemon wedges, but the first time my parents had the dish was on vacation in Acapulco so limes it always was. I like the size of 51-60 shrimp and easy peel is the way we have always enjoyed it. But, if you are serving as an appetizer you may want larger tail-on shrimp for presentation. For a weeknight dinner start some Cilantro Lime Rice before making the shrimp and it should all be ready about the same time. In a large skillet, heat butter over medium high heat until melted. Add shrimp and cook until completely pink.